Home / $JPY / $SPY / BOJ / Japan / Nikkei / What is the Bank of Japan to Do? What is the Bank of Japan to Do? The Bank of Japan is unlikely to change policy. Its current policy of targeting 10-year bond yields and expanding the balance sheet by JPY80 trillion is aimed at boosting core inflation to 2%. However, the risk is that BOJ Governor Kuroda surprises the market as he has done on other occasions. If Kuroda is going to surprise the market, what would it take? There are several moving parts. First, the BOJ currently forecasts core CPI, by which it means consumer prices excluding fresh food, will rise 1.5% this fiscal year. This is highly unlikely, erring on the side of hope over analysis. The core rate stood at 0.2% in February and is expected to have remained there in March, which will be reported before the weekend. It could bring it toward the market expectations. The Bloomberg survey puts it at 0.7% this year. Second, the BOJ could push out when it expects to achieve its target, which now looks to be the end of the next fiscal year--in two years' time. Both of these measures would likely signal an extension of the unorthodox policies. This leads to a third step the BOJ could take. Many in the market see that the BOJ unlikely by JPY80 trillion of government bonds this fiscal year. On the one hand, the shift toward targeting the 10-year yield has required fewer purchases that previously. The pace of BOJ bond buying has slowed. On the other hand, estimates suggest that as much around JPY40 trillion in government paper it owns will mature. It could announce a cut in its the overall JGB purchases. Fourth, the BOJ could raise its growth forecast. Last week Kuroda acknowledged that the economy was stronger than anticipated a few months ago. Exports have been strong, and this has helped spur industrial production and capital expenditure. Household consumption remains in the doldrums. Nevertheless, there is no hurry and Kuroda may surprise by doing nothing. Steady as she goes may be the best course. Despite the recovery in European and US bond yields, the 10-year JGB is steady around zero. The upside momentum of the yen against the dollar, euro, and sterling has stalled and partly reversed. Investor seems particularly attuned to signs of an exit. 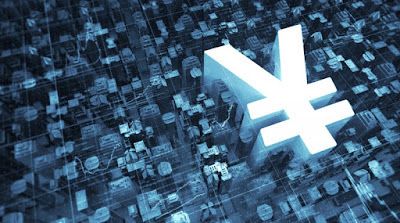 A combination, for example, is increasing the growth forecast and reducing the amount of JGBs that will be purchased, would likely be seen as tapering and could drive the yen higher. Our discussions with BOJ officials last month made it clear that Japan's central bank will be slow to change its path. It wants to lag behind the other major central banks. Officials are committed to the 2% inflation target and are unlikely to abandon it. It does not want to risk investors misinterpreting its intent. The BOJ does not want to draw special attention to itself and must be pleased that after spending about two weeks below JPY110, the dollar has resurfaced above it. The JPY11.80-JPY112.20 offers a band of resistance (congestion and retracement objectives). On a longer-term basis, a convincing move above JPY112 could project toward JPY114.-JPY115.00. Japanese equities are the worst performing of the G7 equity markets thus far this year. The Topix is up 1.25%, and the Nikkei is up a smidgen less than 1%. The pullback in the yen bodes well for Japanese equities. The correlation between the (percent) change of the dollar-yen and Japanese entries is rising (now ~0.45). The correlation with US stocks is rising but lower than with Japanese shares over the past 30 and 60 sessions (~0.38). The strongest correlation is between the dollar-yen and US 10-year Treasury yields. The correlation over the past 60 days stands above 0.80, which makes it among the tightest correlation at least since 1990.